Select Style Assorted fashion colored 7 x 23mm package. Assorted metallic colored l7 x 23mm each. Dimpled thumb-grip area for easy use. Great for craft projects, ID Cards, lanyard projects, specialty garments, ornamental designs, many other uses. 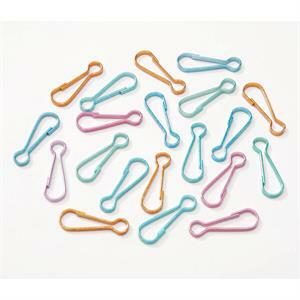 Assorted fashion colored lanyard hooks. 7 x 23mm each. 75 pieces per package. 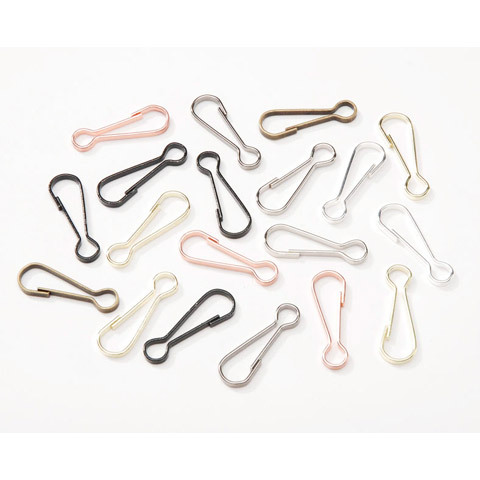 Assorted metallic colored lanyard hooks. 7 x 23mm each. 75 pieces per package.